A string of owl sychronicities emerged last week, and I’m trying to make sense of the overlapping weirdness. Like any synch, these things get so intertwined and personal that it ends up being almost impossible to convey their power, let alone their meaning. I’ve gotten to the point where I trust that the more entangled this stuff gets, the more I trust it. 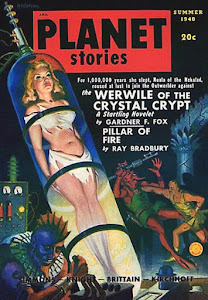 That said, I trust this flurry of synchro-weirdness. What follows is my (excessively hyper-linked) attempt to unravel this knotted cluster of owl stuff. On Monday (Sept. 30th) I had a Reiki session with a woman I know here in my little town. You can read a long post about what happened HERE. At the end of our meeting I asked if she had ever had any odd owl experiences. She explained about seeing a great horned owl that flew along side her, from fence post to branch, as she walked along a path. It would swoop down low and then landed further down the path, staying ahead of them as they walked. It was huge and it would glide low and incredibly close to the ground as it stayed in front of her and her friend. 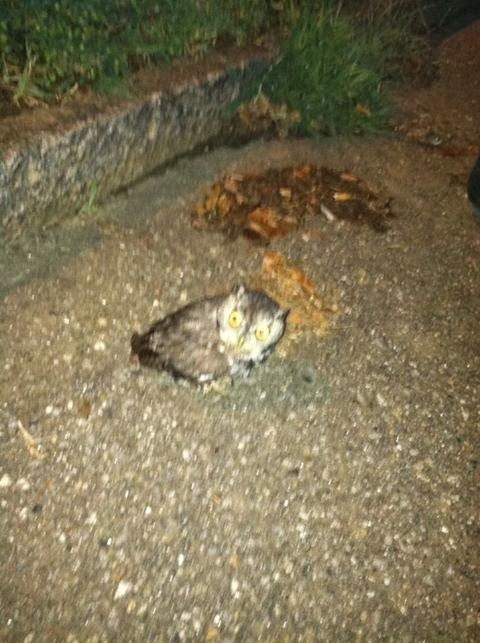 That same night I got an email where she told me she had see another owl after our session. She wrote that is was a huge gray owl (I am assuming it was a great gray) in the same spot, and it “appeared” right in the moment when she thought to herself that she wanted to manifest an elephant. I wanted to talk with her but didn’t call until the next day Tuesday (Oct. 1st), right before calling her I switched on the live broadcast of Micah Hanks’ The Grailien Report. The show was only on for a little bit, just enough for me to hear that Micah had two guests, Cam and Kyle from the Expanded Perspectives Podcast. I turned off the audio, walked next door to do a load of laundry (I use my neighbors washing machine) and when I got back to the house I made the call to the Reiki therapist. I left a message on her machine and then switched the audio back on. I was sitting right at my desk, I clicked on skype, send a little note, “Micah - I JUST started listening - and guess what I heard…” Within seconds I was on the air with him and his guests. You can hear the excitement in amazement in their voices as they reveled in the fact that I heard my name and got on the air so quickly. I felt a little bit like I’d hijacked the conversation for the remaining half hour of the show. 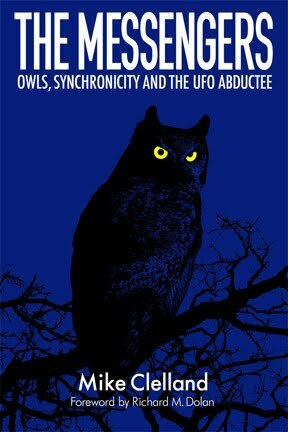 One thing I talked about was a weird synchronicty surrounding a woman from Asheville North Carolina, right where Micah lives, and her mystical experiences with owls and a very strange UFO sighting. Now, what I hadn’t heard was just how my name came up. This morning I listened to the archived edition of the show from that night, and a a highly charged number comes up. There it is again, 1 - 2 - 3 - 4 - 5 ! 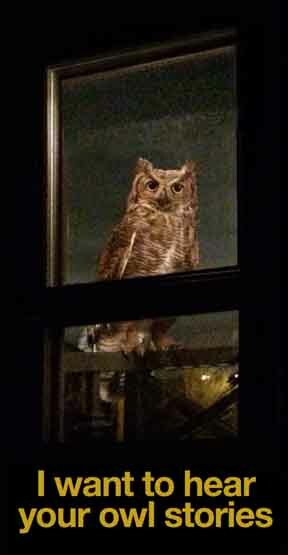 At the 1:23:45 time count, Cam begins a very interesting owl story by saying, “Now a little stranger than that, here’s another story that my mother actually shared with me…” What follows is an extremely eerie sighting of a giant 4 and 1/2 foot tall owl seen in a driveway. As the guy tells this story, he says he pressed his mother for details because there is a guy who has a blog where he talks about owls and UFO abduction. He was obviously talking about me, but I hadn’t hear this part live. I don’t know if I’ve ever just asked him to chat like this, but I really enjoy talking with him. So it was a little bit unusual that I would just ask to talk like this. He said lets talk and later that night he rang me up on skype. I hadn’t received anything, and he resized he had tried to tag me on someone else's photo on facebook, so I never go it. He sent it as we talked. He explained that last week, on Wednesday (Oct. 2nd) he was coming home from doing the laundry, and as he was nearing his driveway he had a strong thought in his mind, “Mike Clelland - owls - owls owls - Mike Clelland.” When he pulled into his home, there on the driveway was a small little owl. He was with a friend and he took a picture of it. He said he was close enough that he could see it’s big eyes dilate from the flash. Ran into this cute little guy on my walk to work. He didn't move, just starred at me. I even gave him a boop on the head. Now that morning Thursday (Oct. 10th) the first email in my in-box was a link to this image. It was from someone who I didn’t know, but had heard me on Greg Bishop’s Radio Mysterioso. It was just a cute owl image found online, but it weirdly matched Alan’s experience. It was an owl in a driveway! Alan and Micah both live in the same town, along with the woman who had the owl and UFO experience, that being Asheville North Carolina. Both Alan and Micah are podcasters, bloggers, authors and publish books. I've interviewed both Alan and Micah, in both of these there was huge focus on synchronicities. Now, there is no better person on earth than Alan to try to unravel this kind of synchro-weirdness. The laundry connection seemed odd, and Alan pointed out that I had my own powerful laundry sync (linked HERE). But weirder to me was the striking similarity of the two owl in the driveway pictures. We both tried to untangle this weird knot of owl stuff, but all we ended up doing was seeing more and more little threads that seemed to lead everywhere. No answers, just a recognition that this stuff really happens. So Mike-- is it just me or did the owl synchs ratchet UP soon after you admitted openly to yourself and others that you were an alien abductee/experiencer? Its like the universe saying, "Confirmed. Confirmed. Confirmed." -- Or something! 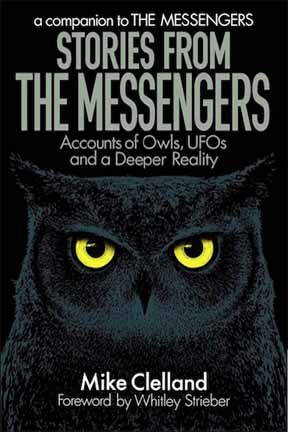 Again and again we're seeing links between owls and initiatory experiences involving alien and faerie or otherdimensional type encounters. Very interesting to see if these synchs end up being like the series of white rabbit/black rabbit synchs of a guy I know who went down the "rabbit hole" (ha!) in much the same way you (and others) are. I know nothing about Asheville, NC. But I read on another blog that it is a hotbed of satanism type activity. I just noticed Asheville mentioned on here. Wonder if there is any connection? 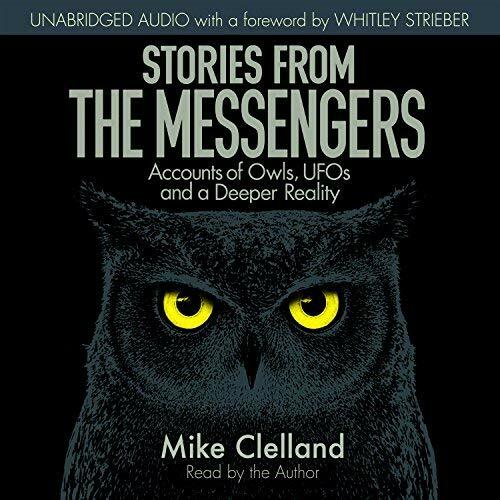 Lucretia said: "So Mike-- is it just me or did the owl synchs ratchet UP soon after you admitted openly to yourself and others that you were an alien abductee/experiencer?" not to pile on, but you forgot the Mike's Falconry synch. (Towards the latter part of my comment on your post "Owls as highly sensitive input receiver"s.) I spent a nice ten minutes in my driveway nite before-before last listening to a barn owl screeching in the trees right above me (like 10-12 feet away/above). It's that time of year - birds are on the move, and owls are establishing breeding territories for winter and looking for mates, so they're more visible. 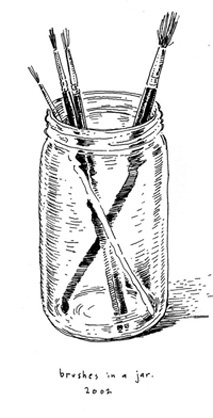 More pertinently to your situation, Mike - 1) if you start noticing and asking for synchs, putting lots of energy into them, writing them up, etc. you WILL have more synchs. Try it. (oh wait you already are! ;) 2) Owls are just present when the veil parts. Think of what they do for a living - not only are they predators, they hunt by listening for injured, sick, out of place critters...critters who may very well be looking for the door to the other side already. But that is only part of it, of course. i bird, and for about ten years was a birding maniac. God, that was a fantastic time. Among birders, some are owl people - they can see owls even during the day, in the strangest places too. Some can even call owls in - by squeak-kissing the back of their hand (like an injured mouse, poor mice!) or by imitating their calls. My first birding teacher was Phil Gordon - Owl Man Extreme, God Among Birders, Local Legend. 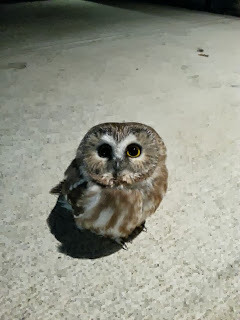 Once he was kissing the back of his hand while peering thru his binocs on a nitetime owling trip when he noticed something - he'd called the little saw whet owl all the way in and it was sitting on his binoculars. (His students got a better view than he did!) The second 'driveway owl' is a saw whet, they are notoriously tame. A few years ago they had one at Pt. Reyes seashore, so we went there and asked where it was hanging. The rangers told us exactly where on which branch of one individual tree we would find him - we hiked out a bit and there he was, 12 feet off the ground and right on the trail, soaking up the admiration (they are cute beyond belief). I meant to mention, Mike, after you posted your essay that the small owl the woman saw in the road with what she described as having a seemingly impossible wingspan given it's size was indeed most likely a Saw-Whet Owl. They weigh just 2.6 oz but have a wingspan of 17-20 inches! The second picture on this page is of a Saw-Whet, easily one of the most beautiful and definitely the cutest owl, if not one of the cutest creatures on our planet. In my area, a few years ago, around this time of year a survey was done of Saw-Whets, netting(literally) surprising numbers of these very specialized owls. An article about it was published in our Columbus Dispatch, written by a gentlemen whose sons I went to school with. Owls and the Abuctee is very important, Mike, but please don't ignore the Natural History component of this adventure. These sacred creatures have millions of years of evolution on us. This surely contributes to their heightened awareness of the world around us. Intuition, ability to see what other do not see.The presence of the owl announces change. Capacity to see beyond deceit and masks. Wisdom. The traditional meaning of the owl spirit animal is the announcer of a symbolic death. I, myself was followed by crows after a very strange dream about a native american Indian elder woman telling me to pay attention to the crows. After meditating some on the message of the dream, I looked into info on crows in old native Indian wisdom that led me to an incredible amount of synchronises to various books that have really helped me immensely in my journey. Considering your story, I feel somehow the owl message for you is from a pretty profound space, perhaps a place where science & spirit meets. They say that only man and cockroaches have this immense capacity of adjustment. That's why wherever you find man you will find cockroaches, and wherever you find cockroaches you will find man.